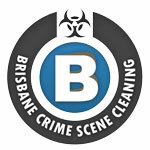 Professional Brisbane Crime Scene Cleaning technicians provide forensic cleaning, biological remediation and crime scene clean ups across the greater Sunshine Coast region. Backed by a wealth of knowledge coupled with onsite and technical experience, our technicians are experts in their field. Brisbane Crime Scene Cleaning has earned the trust of property owners, real estate agents and commercial property owners across the Sunshine Coast locality. We pride ourselves on providing an advanced and efficient management system to complete each and every forensic cleaning restoration service to ease the stresses associated with biohazard damage. Our full scope of works includes, but is not limited to, Animal and Rodent Removal and Surface Sanitisation, Crime Scene Cleaning, Biological Remediation, Death and Suicide Clean Up, Deceased Estate Clean Up, Gross Filth, Squaller and Hoarders Cleans, Motor Vehicle Biohazard Remediation, Sewage Leak Clean Up, Self-Harm and Blood Cleaning, Sharps and Needles Clearances and Mould Remediation. SUNSHINE COAST CRIME SCENE CLEAN UPS: Our trained, supportive and professional Crime Scene Cleaners are highly experienced in cleaning and restoring any crime scene to its previous safe, biohazard free state. As Crime Scene Clean Up specialists, we are able to clean and decontaminate any crime scene; there is no situation we can’t remediate. FORENSIC CLEANING SUNSHINE COAST: The unexpected death or trauma of a loved one is a distressing and extremely emotional time for anyone. Professionally trained Forensic Cleaning specialists should be employed to ensure your piece of mind that the forensic cleaning is done in safe, professional manner. SUNSHINE COAST UNATTENDED DEATH CLEAN UPS: Our team of highly experienced Brisbane Unattended Death Clean Up specialists will remove any damaged property including any significant structural elements including carpets, floorboards, wall sheeting etc. to ensure the property is left is a sanitised, safe, non bio-hazardous state. BIOHAZARD CLEANING SUNSHINE COAST: All clean ups where disposal of contaminated items is required, our cleaning technicians will provide an inventory list of contaminated non-salvageable items to provide to your insurance company in your loss claim. SUNSHINE COAST GROSS FILTH & SQUALLOR CLEANS: Our Gross Filth and Squatters Cleaning experts remove all harmful sharps, waste and filth, decontaminate and clean the property and provide an easy, fast response to your Gross Filth and Squatters cleaning needs. SUNSHINE COAST FINGERPRINT DUST CLEANING: This being said, when undertaking Finger Print Dust Removal, precautions should be made when dealing with Fingerprint Dust in a forensic crime scene. 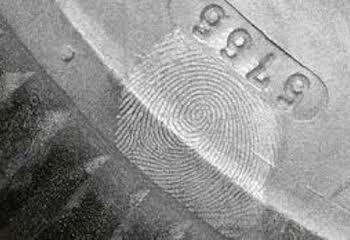 Attempting to remove fingerprint dust without the appropriate specialised training or chemicals can result in damaged furniture and stains. 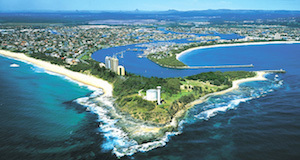 SHARPS, NEEDLES & SYRINGE CLEARANCES SUNSHINE COAST: It is imperative that any sightings of sharps or needles are reported immediately and waste be disposed of, and cleaned up by a trained professional. When removing potentially hazardous needles and sharps, it is imperative the process be carried out by a trained professional using the appropriate sharps removal protection equipment. SUNSHINE COAST BLOOD CLEAN UP: Our trained technicians will remove any blood spills via a combination of meticulous cleaning, structural remediation, biohazard removal and surface sanitisation. Once the technicians are finished the area and adjacent areas are tested for sanitisation levels to ensure your property is safe for habitation. 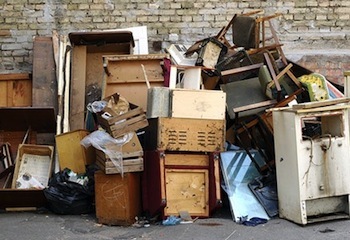 HOARDING CLEANING SUNSHINE COAST: We work closely with the hoarder to ensure valuables and special items are not disposed off so the hoarder or client can feel relaxed and be confident that their possessions are being dealt with in the correct manor. SUNSHINE COAST METH LAB CLEANING: If you are living in a potential meth lab or have a property that has been contaminated by the cooking of meth, contact us today for an obligation free chat with a trained and certified meth lab remediation technician. SUICIDE CLEAN UPS SUNSHINE COAST: The team at Brisbane Crime Scene Cleaning at ready to assist with your personalised suicide clean-up requirements. Our Suicide clean up technicians are highly trained and experienced to deal with your cleaning requirements in a professional and discrete manor. MOULD REMEDIATION SUNSHINE COAST: Be aware that not all mould is detectable. You may have a mould problem yet have no visible signs of a mould colony or infestation. Your home can become infested with mould in a number of different ways. SUNSHINE COAST FIRE DAMAGE RESTORATION: The residue left behind after a fire is a biohazard and can cause health problems if it is not taken care of correctly and thoroughly. You do not want to attempt to clean up your home on your own after a fire or you may cause more damage. Only experts from Brisbane Crime Scene Cleaning possess the correct training and tools to assure the job is complete appropriately. SEWAGE CLEAN UPS SUNSHINE COAST: Brisbane Sewage Contamination Clean-up specialists understand the risks and dangers associated with sewage spills and leakages and offer an effective and highly comprehensive Sewage Clean Up service. We ensure all potentially hazardous sewage spills are contained and safety removed to alleviate all affected areas in a fast, comprehensive and cost effective manner. 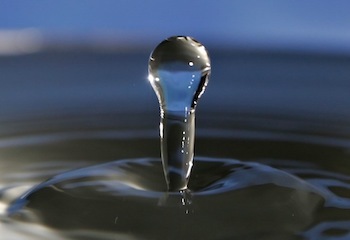 WATER DAMAGE & FLOOD RESTORATION SUNSHINE COAST: Homeowners are advised to only utilise trained and certified Water Damage Remediation technicians. It is not safe to remain in any building that has been contaminated with floodwater until the property has been remediated and any contamination mitigated to a safe and hygienic level. ODOUR REMOVAL SUNSHINE COAST: No matter how strong or weak the odour, regardless of the source, our team of highly trained, professional Odour Removal technicians are on stand-by to assist in the removal of any odour successfully, and economically.